A fun and fact-filled book featuring dozens of ideas and information on enjoying the outdoors. Well-read used copy of author Harold K. Steen's interesting look at the history of the U.S. Forest Service. 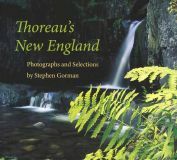 A grand collection of stunning photographs by Stephen Gorman, combined with pearls of wisdom from Henry David Thoreau. Offered here at 50% off the original cover price! 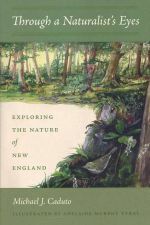 A newly published (2016) collection of elegant and humoous essays exploring the natural word of the six-state New England region by renowned author Michael Caduto. A fascinating and definitive chronicle of the timber rattlesnake and its fate in the northeastern United States. 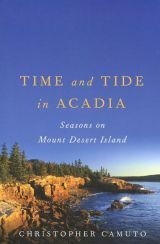 A bargain-priced classic on the natural history of Maine's Mount Desert Island and Acadia National Park. 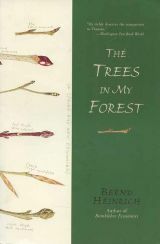 A good used copy of this award-winning book by well known Vermont auithor Bernd Heinrich. A revised and updated edition of author Richard DeGraaf's classic guide to creating a habitat for attracting birds. A first-rate history chroncling Vermont's devastating Flood of November 1927 and its long, often painful road to recovery. Nice used copy of this interesting guide to nearly 90 environmental and historical treasure hunts in the Upper Connecticut River Valley of New Hampshire and Vrmont. An illuminating annotated edition of Henry David Thoreau's literary classic. First edition of this wonderful new walker's guide to the Green Mountain State. 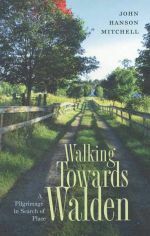 A thoughtful collection of short seasonal meditations by Vermont nature columnist Marilyn Webb Neagley. A spirited memoir by one of the most intriguing, original nature writers alive.